Notre Dame School uses the Renaissance Suite for Learning, which utilizes comprehensive, integrated reading and math programs. The Renaissance programs use norm-referenced assessment data to provide learning objectives and goals at each student’s individual level. 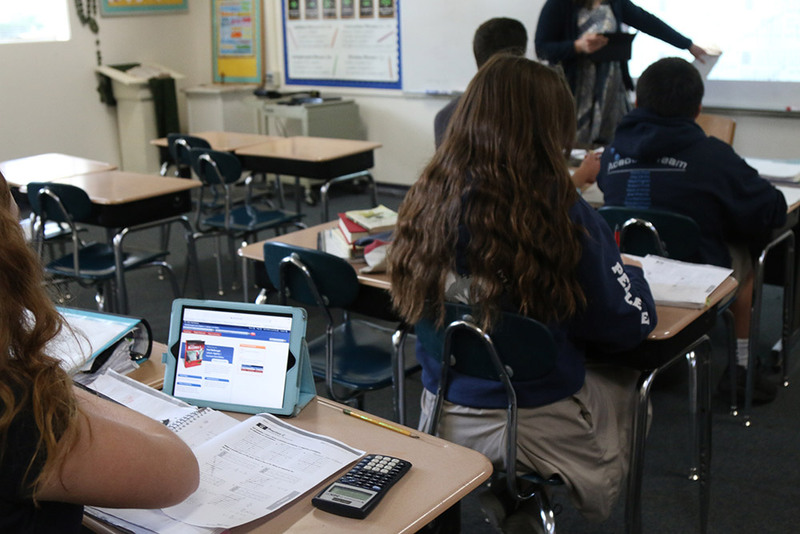 Teachers and administrators are able to use STAR diagnostic assessment data to monitor class and student progress, and to personalize instruction in both math and reading. Accelerated Math is used as a resource to allow each student to work at her or his own level; either for extra practice or as a tool to accelerate. Accelerated Reader motivates students to read at their zone of proximal development, increasing fluency through appropriate and relevant practice. 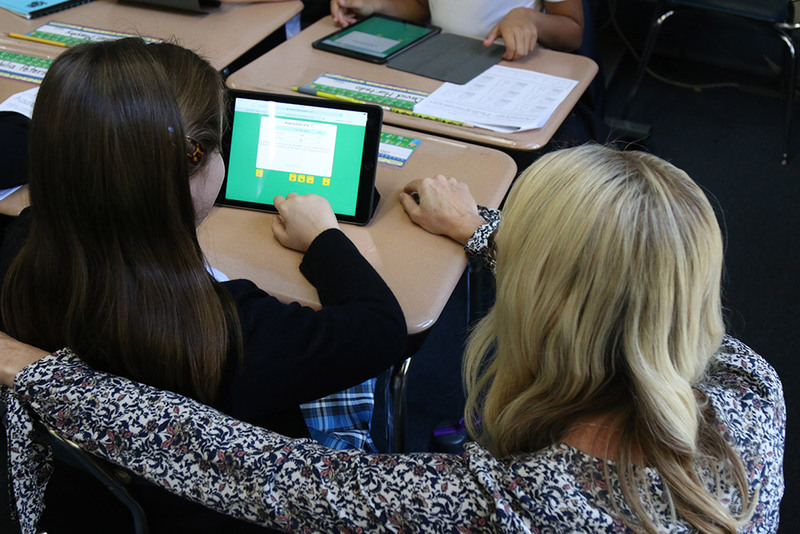 Using Renaissance Home Connect, families can login from home computers and students and parents can receive instant updates on progress toward reading and math goals in both English and Spanish. 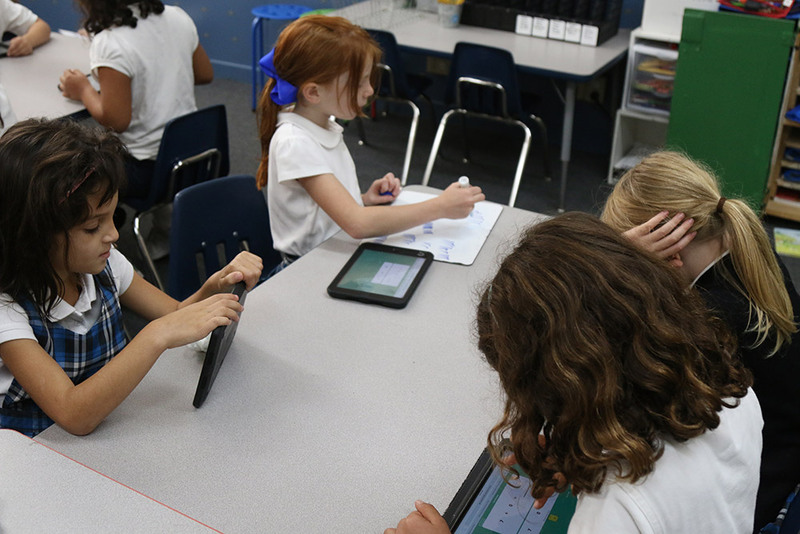 The students in the K-5 classrooms share a class set (30) of iPads, and the Kindergarten through 2nd grade classrooms have additional sets of iPads. These students use the devices to work on Renaissance programs: Accelerated Reader, Accelerated Math and Math Facts in a Flash. The primary students also use the iPads to access Google Docs for typing projects. In the 3rd -5th Grade classrooms, there are also Mac computer stations that give students access to these programs as well. 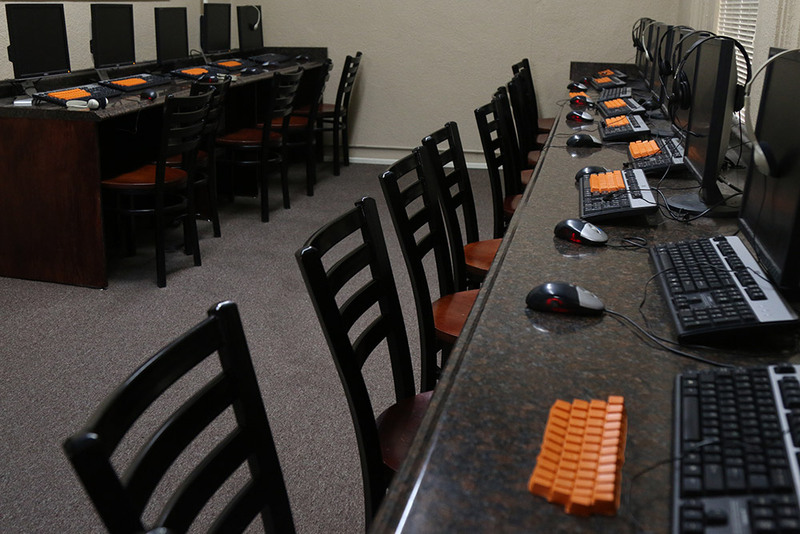 There is also a computer lab with 15 desktop computers located by the library in the main building. 1st through 5th Grade students utilize the computer lab weekly, concentrating their time mainly on keyboarding skills, but also for research and publishing work. Each Junior High student is assigned an iPad to be used during the school year. 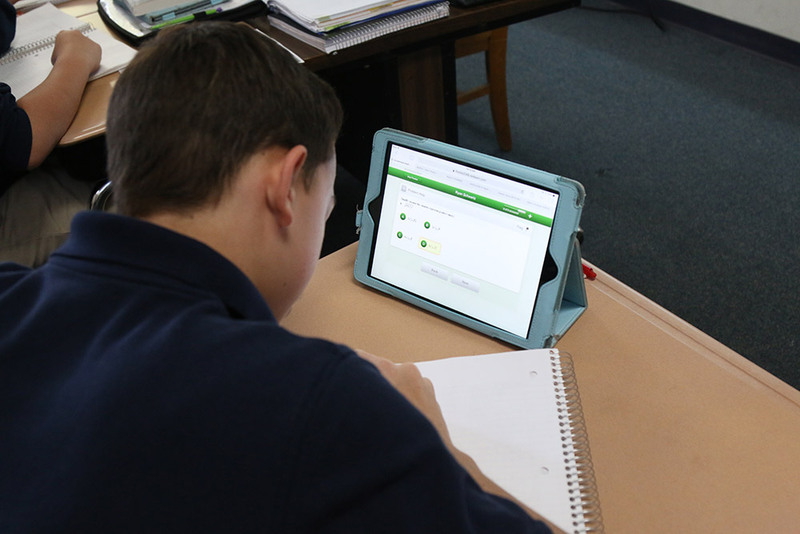 Students use their iPads to access online textbooks and other learning resources. Jr High students take advantage of the Renaissance learning suite as well. They also have their own Google accounts, using them to access Google apps such as Gmail for correspondence, Docs for word processing and Slides for presentations. Teachers and students also use Google Classroom for posting assignments and accepting student work. Every classroom is set up with a teacher MacBook, iPad, projector and Apple TV. Teachers are proficient at computer literacy and routinely use technology throughout the instructional day.